Volume sales of wine are continuing to fall in the UK and the pace of decline has increased over the last 12 weeks, according to latest figures. The WSTA Market Report also says that any increase in the value of wine sales is largely down to tax increases. 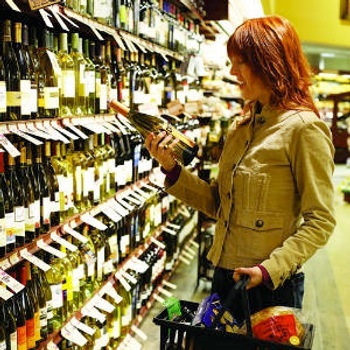 The new figures show shop sales of wine were down 3% by volume in the 12 months to 26 November and down 4% over the last quarter. Off-trade value sales are up 3% for the year but analysis attributes this substantially to the combined impact of increases in excise duty and VAT. There were, however, some notably good performers in the off-trade, with cider adding 3% in volume and 11% in value terms over the year, while sparkling wine grew volumes by 2% and value by 7%. In the spirits sector, gin added 3% in volume and 9% value, while vodka also added 3% to its volume sales and 10% in value terms. The picture is not quite so positive in the on-trade, where most categories saw volumes decline in the year to 1 October. Despite this, every category except RTDs – which continued their long-term decline – saw value increases, though again this has been attributed to the impact of duty and VAT rises. On-trade wine sales were down 6% in volume but added 9% in value, while sparkling wine volumes rose 2% and value was up by 8%. As for on-trade spirits, though total volumes were down overall, both liqueurs and Tequila emerged as the strongest performers. Liqueurs put on 5% in volume and 10% value, while Tequila added 6% volume and 12% value. WSTA chief executive Jeremy Beadles said: “All the signs point to consumers cutting back on spending and any growth in value is largely down to the impact of this year’s tax increases.